What would you wear to Radiohead: The Ballet? A Scottish Ballet production called Ride the Beast will make its London Debut later this year. The twist? 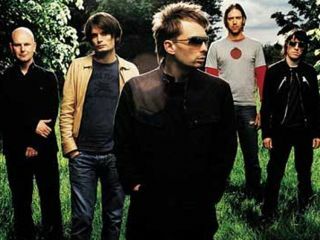 The ballet is choreographed to the music of Radiohead, drawing heavily from the band's experimental fourth album Kid A. Tracks featured within the ballet include, The National Anthem, Fitter Happier, and an acoustic version of Creep, amongst others. Ride the Beast debuted in Edinburgh last year and is currently touring around Scotland before making its way down to London at the beginning of October (the 4th & 5th at Queen Elizabeth Hall - in case you were wondering). Discussing his choice of Radiohead, the show's choreographer Stephen Petronio expressed his admiration for the band. He described their music as "a brilliant investigation of achingly modern taste... I have to live with music so intimately while creating with it I simply have to work with music that I love. Radiohead has been at the top of my list for a very long time." Of course, it's not the first time Radiohead have flirted with theatre and film. Guitarist Johnny Greenwood scored the Academy-award winning film There Will Be Blood, garnering heaps of praise from critics, and In Rainbows track Reckoner will be used in upcoming movie Choke - adapted from a book by Fight Club author Chuck Palahniuk.